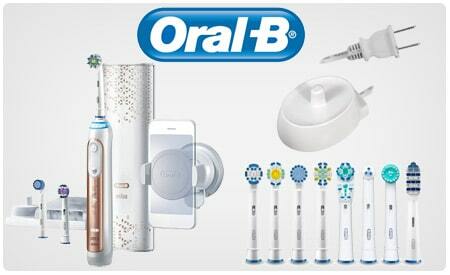 Oral-B manufactures a wide range of electric or power toothbrushes. Different brushing techniques are used that will produce results superior to using a manual toothbrush. From the basic battery operated toothbrush to the deluxe plaque remover with an interactive, separate LCD display, Oral-B has power toothbrushes for all needs and budgets. Since most dentists recommend power toothbrushes to their patients, they are a valuable source for advice on which electric toothbrush will best suit your dental hygiene needs. We carry the Precision Clean, Dual Clean, Floss Action, Pulsonic and Sonic replacement brush heads. 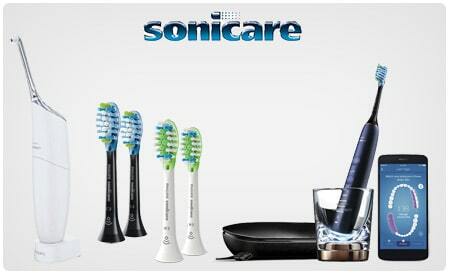 Sonicare Diamond Clean, Flexcare and Healthywhite Sonic toothbrushes are the number one recommended Sonic brush world-wide. Studies have shown that the Sonicare rechargeable toothbrush is highly effective in plaque removal, gum health and stain removal. Your oral health can affect your overall health, which is why Sonicare is now offering a Sonic toothbrush that is specifically designed for children, called the "Sonicare for Kids". We carry the full line of Sonicare brush heads: Diamond Clean, Pro Results, Elite, Advance, Essence and Extreme.